I love Joan Rivers, but this one wasn't her finest hour. A bit too erratic and not enough of her usual panache. Joan has always been one of my favorites, but she was on fire here. Awesome! Really miss Ms Rivers irreverent baudy humor! There is no one else like her and this London performance is a great example of what we be missing ! Would you try another book from Joan Rivers and/or the narrator? I use to think Joan Rivers was funny, but this was horrible. I couldn't let myself listen to the whole thing. Just terrible. 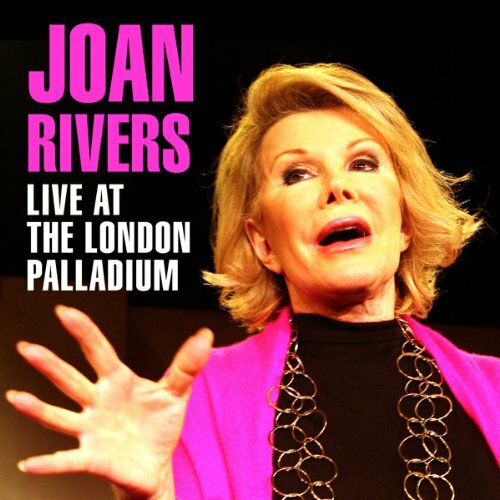 Would you ever listen to anything by Joan Rivers again? I'm used to loving everything Joan Rivers does. Sorry, not this time. particularly the material about her dog Spike I found appalling, and that's a word I never hoped to use to describe anything done by a woman I admire so much. I know she has aged, but this just never should have been recorded. Her book, written 7 years later, is 7 times as funny on one page as this entire thing is.